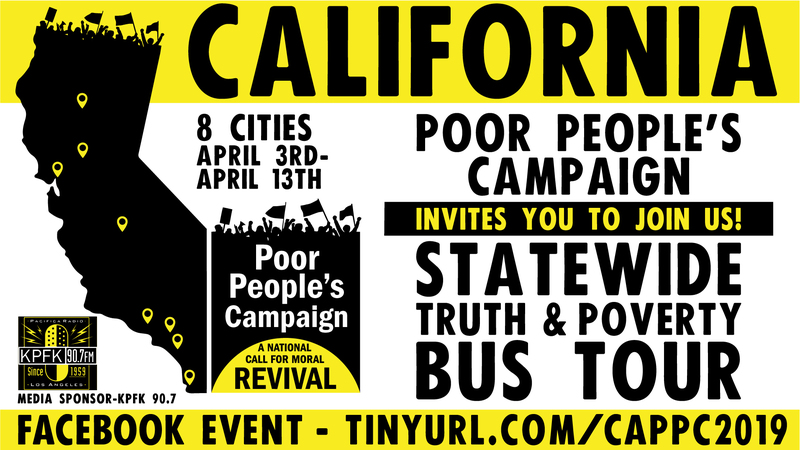 Starting on April 3rd, the California Poor People's Campaign is organizing an 8 city statewide National Emergency Truth & Poverty Tour. 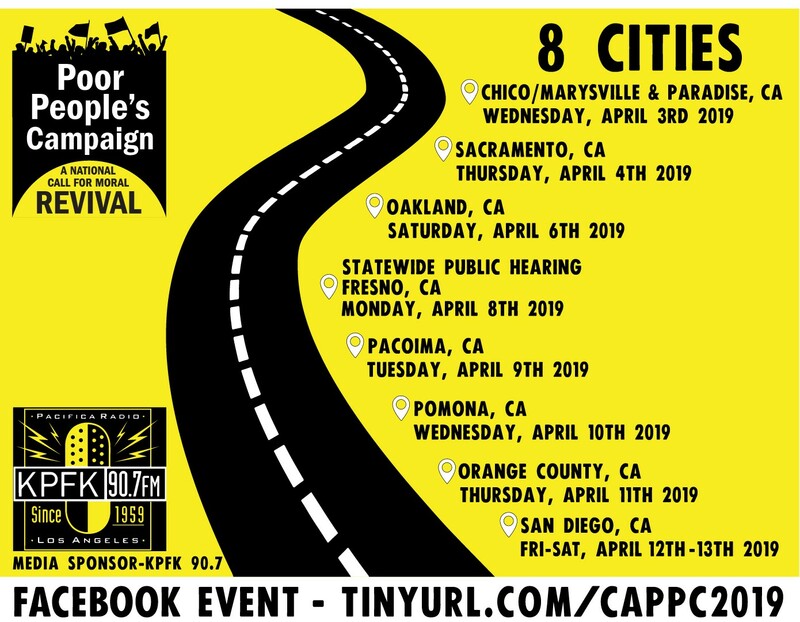 The second stop is in Sacramento on April 4th where we will reveal the injustices afflicting our community including homelessness and police violence and the unjust Stephone Clarke Decision. We will organize and move forward together!